"If your pictures aren't good enough, then you're not close enough." The famous quote by Robert Capa is relevant to much more in photographic practice than just the conflict and war he originally refers to. As a student photojournalist, I work to document and create images of people's lives, telling an honest story that is interesting to an audience. Half the job is finding the stories and gaining safe access to them and a good way to do this is to make contacts and friends with the people you want to document. Talking to the people you want to photograph is such an important aspect of photojournalism, as it helps you to understanding how you can portray those people. It's important to ask questions and get a feel for who this person is, how they are feeling in relation to the story and how they might want the audience to feel towards them. This gives the subject the opportunity to influence your work, which is a good thing when trying to create honest pictures. The more you get to know people, the more they open up to you, which can give much more depth to your work and can unearth parts of the story which you weren't aware of. It also means that people become much more comfortable around you, which I think is a goal of any good photojournalist as you can then freely take pictures, whereas a wary subject will be hostile and reluctant to be photographed. It will also capture the people in a much more natural way, which leads to a more personal story. The best work is created when the audience can relate to the subject, so you have to get the subject to relate to you. 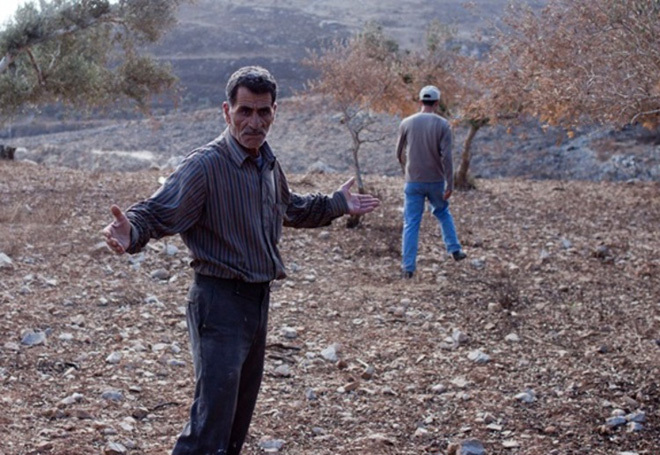 My recent work documented the 2011 Palestinian Olive Harvest in the West Bank. It is a very important time for the Palestinian's as it is an annual tradition that has been a part of the people's lives for generations. Now, due to the Israeli occupation of the West Bank and illegal settlement building, the economic side of the harvest has become worthless. The harvest has therefore become more a form of resistance and the Palestinian's farm the land to keep possession of it and not allow anymore to be taken. In the 2011 harvest, I joined a group of international activists called the International Solidarity Movement with the intention of creating a piece of work on the Palestinian olive harvest. 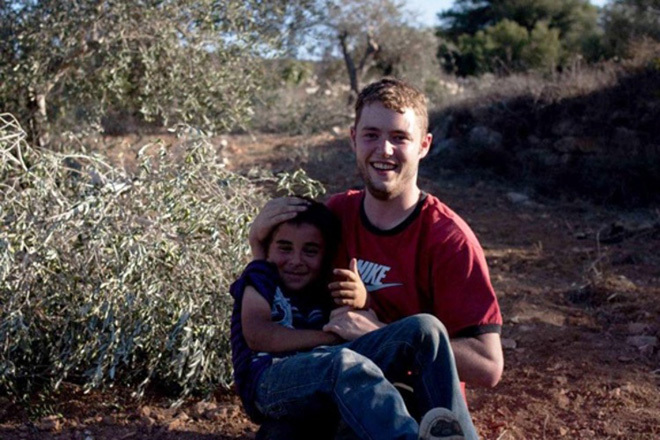 We accompanied Palestinian farmers to their land if it was in a particularly tense area. Through this I met farmers and spent a lot of time harvesting the olives with them and I made real friends with their families and other people in their villages. I see myself as much an activist as a photographer so when shooting a story I try work alongside my subjects and get involved as much as I can. Not only can it be fun and really rewarding, but it also improves the stories I create. It means I get an idea of what they feel and experience, which gives an opportunity for more detailed and realistic work. If you personally know what it is like being involved with the story you tell, then not only are you telling the story of others but also your own. Photographs with feeling make much better stories. As time went on I became very attached to the people I worked with, I ate dinner with their families, shared the workload of the harvest and spent hours playing with their children. This meant they became used to my presence and my camera, the photos were natural, as if I wasn't there. As you can see in this image I had spent enough time with Mr Najjar that he became less aware of me being there and it meant that when he found his olive trees to be burnt he responded naturally despite the presence of a camera. People often seize up when there is a camera about and they don't show their true feelings but here Mr Najjar clearly has no problem doing so. Being so integrated into the stories meant that my work was given more detail and more emotion. It was a lot easier for me to create these images because I had the Palestinian's on my side and I understood how they felt in this situation. Being involved in the stories you photograph is not only relevant to photojournalism and documentary photography. If you're trying to do sports photography; take part in the sport, if your doing a portrait; really talk to that person so you can create a good enough relationship to work well with them. That is how I try to stay honest with my work; it helps me create much stronger imagery and gives me the opportunity to photograph with freedom.